WE ARE POPPIN' UP JUST FOR YOU ATLANTA! You might have done Trap Yoga before but not with Trap Yoga Bae® buleehdat!! Trap Yoga with Trap Yoga Bae® is a Vinyasa-style experience, backed to the heavy bass and hypnotic rhythms of trap music, and spun by our COO, DJ TrueStarr! Paired with Yoga Bae’s signature #RachetAffirmations (inner work prompts that are equal parts pep talk and real talk), plus an energizing 45-minute yoga set, a Trap Yoga Bae™ experience is definitely more lit than your average yoga class! Head to her website www.trapyogabae.com to sign up for tour updates, get access to e-Swag bags when you join the TYB Trap Squad and get discount codes for upcoming events and classes! Trap Yoga Bae uses cussing for emphasis, so at least 16+, please! class begins promptly at 7:30 PM No entry allowed after 7:30 PM, we start on time bih! Email the TYB Communications Squad at aGVsbG8gfCBpdHN5b2dhYmFlICEgY29t with any questions! 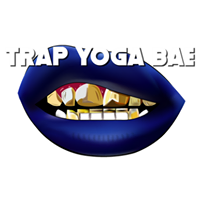 Email the Trap Yoga Bae™ Communications Squad at aGVsbG8gfCBpdHN5b2dhYmFlICEgY29t with any updates! Whoever bought the ticket, is who gets to come to class!